The M.L. “Stub” Gray Shooting Range is located near Little Sioux Park, two miles southwest of Correctionville. ALL USERS MUST PURCHASE A PERMIT. The range is open to the public daily, weather permitting, based on the following schedule. 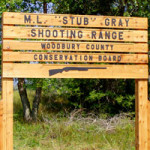 Users are encouraged to bring their own paper targets, as well as eye and ear protection. 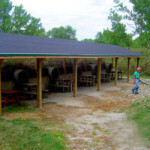 150-yard rifle range with six concrete tube shooting stations – five with sitting tables and one standing station. Target holders are in place at 50, 100, and 150 yards making an excellent facility to target shoot for sport or to sight-in rifles, muzzleloaders and shotguns shooting slugs. 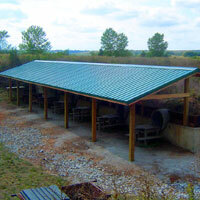 An adjacent 25-yard pistol range is also available with target holders for six shooting stations. Only pistols and shotguns shooting birdshot to pattern the gun may be fired on the pistol range. Trap shooting is prohibited on both ranges.